Overall Background: By now you should be familiar with the story of Nehemiah. He was a Jewish man, serving as the cupbearer to the King of Persia—a very powerful position. 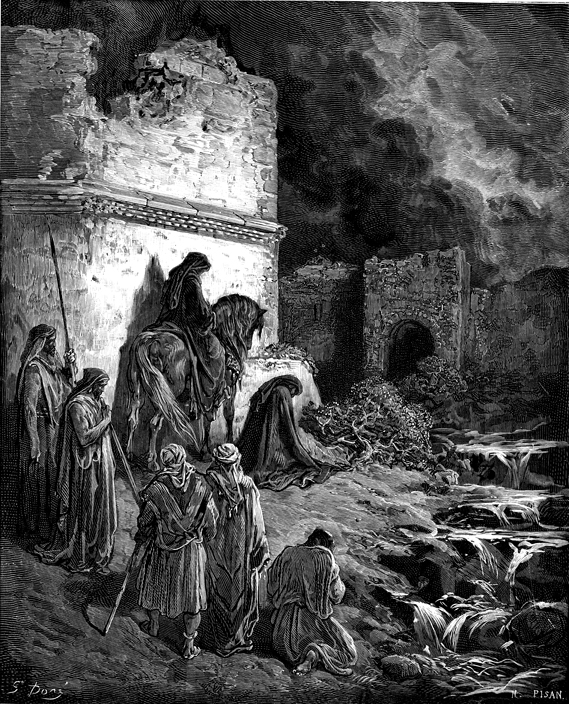 But one day he hears about the suffering of the people in Jerusalem—the wall is broken down and the gates are burned with fire. He is deeply moved. He mourns and fasts and prays and finally musters the courage to go before the king and ask for his help. Amazingly the king promises to help him with everything he needs. In Nehemiah’s own words, “the king granted them to me according to the good hand of my God upon me.” (Nehemiah 2:8) There is a lesson here for all of us—“Where God guides, He provides.” In the words of Hudson Taylor of the China Inland Mission – “God’s work done in God’s way will never lack God’s supply.” When God is at the helm of your life, no problem or no need is too much for Him. With that assurance, Nehemiah set off on the 700 mile journey and came to Jerusalem. You can imagine he is a little stiff. After 3 days of rest, he arose in the night with a few men and went to survey the destruction. At first he did not tell anyone what God had put in his heart. Again, there is a lesson here for all of us—Why? He did not who to trust. “When God gives you a dream, be careful who you share it with.” If you share it with the wrong person, they will try to quench it or they will try to sabotage it. Nehemiah 2:13 “And I went out by night through the Valley Gate to the Serpent Well and the Refuse Gate, and viewed the walls of Jerusalem which were broken down and its gates which were burned with fire.” Just as a side note, the walls you see around the city of Jerusalem are not the walls that David or Solomon or Nehemiah built. These walls were built by the Ottoman emperor Suleiman in the 1530s. The other walls have been found by archaeologists. After he had surveyed the wall, he revealed the reason for his coming and challenged the people to rebuild the walls of Jerusalem. How did the people respond? They responded with enthusiasm. They said, “Let us rise up and build” and they immediately went to work. How do you think Nehemiah felt at that point? After months of fasting and weeping and praying and planning and traveling, He finally saw his vision come true! How awesome to finally see it all coming together! Anytime you do anything that is worth doing, there will be opposition. We are building new Sunday School rooms and a bigger fellowship hall. Do you think it makes everyone happy? One person is definitely not happy – the Devil. He has been trying every possible way to quench and sabotage this project. Ask the people who have been involved in it. Application: But this message is not just about the building project, it is also about your own lives. There are people in this room who have abandoned their dreams and given up their goals because of some opposition in their lives. What you need to realize is that opposition is part of the process. This morning I want us to see how Nehemiah handled the oppositions that came against him so we too can renew our vision and reignite our God-given passion. Background: He was the chief enemy of Nehemiah. The reason for this becomes clearer when we examine his name. 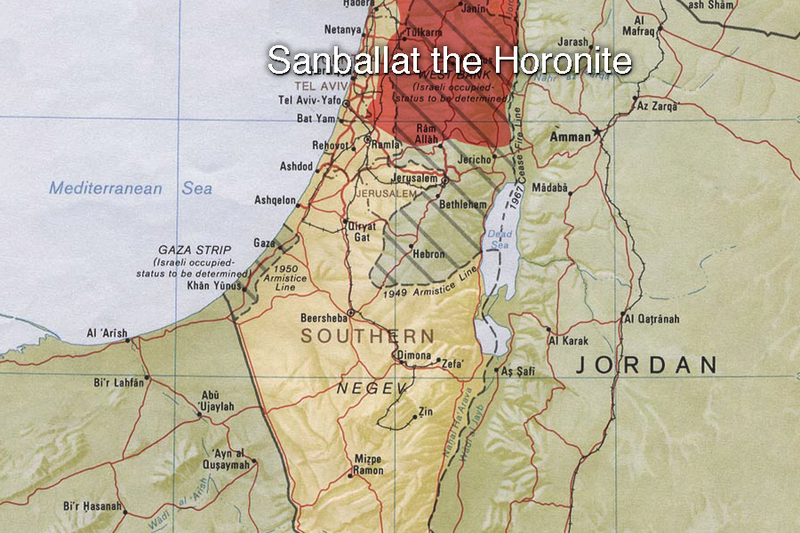 Sanballat was not a Jewish name. It was a Babylonian name that meant “the moon god Sin has given life.” Just look at the contrast between his name and Nehemiah. Nehemiah means “the Lord comforts.” More than likely, his ancestors were among the foreign people who were resettled in Samaria by the Assyrians when the Jewish were taken into exile to other places. Archaeologists tell us that he was the governor of Samaria to the north of Jerusalem. Sanballat represents the world in our lives. These are people who live according to worldly principles and mindset. They don’t walk by faith but by sight. They are what the Bible refers to as “the natural man.” They don’t understand the things of the Spirit of God for they are foolishness to them. Every church has a few Sanballats. They can’t see what God is doing. Application: I am sure you have some Sanballats in your life right now. You share with them what God is showing you and they will look at you as if you are crazy. You share your passions and dreams with them and they can’t see it. They will only discourage you. Background: Unlike Sanballat, Tobiah was not an outsider. He was an insider. The name Tobiah’s is actually Hebrew. It means “Yahweh is good.” But even though his name is Hebrew, Nehemiah describes him as an Ammonite. 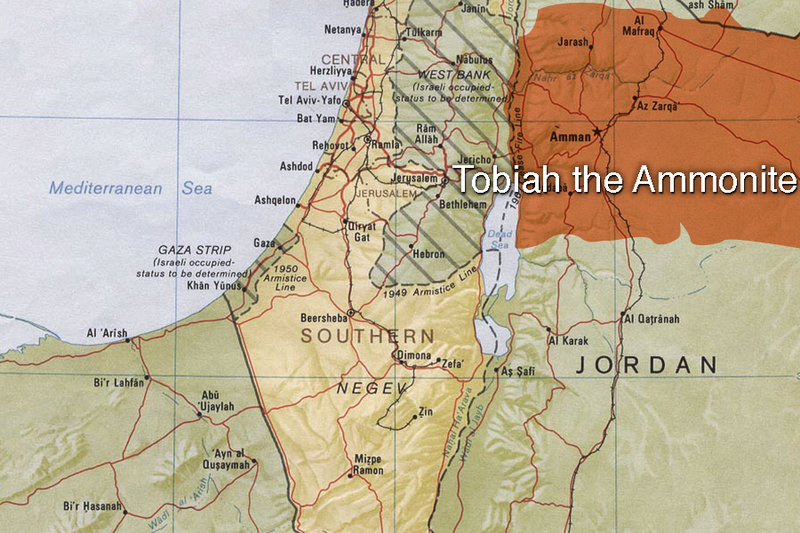 Tobiah came from a family of very powerful Jewish aristocrats. Even though he was Jewish by nationality, he was not one of them. He was the governor of Ammon to the east of Jerusalem. Tobiah represents the flesh in our lives. It is part of us but it is our worst enemy. Every church has a few Tobiahs—Saved by the grace of God but still living according to the flesh. Every church has a few Tobiahs. All you have to is to bump against them a little and out comes the flesh with all the anger, bitterness, resentment, envy, and the rest. Application: I am sure you have some Tobiahs in your life right now. By the way, sometimes it is your own flesh that is your worst enemy. Background: An inscription with that name was found in northwestern Arabia. 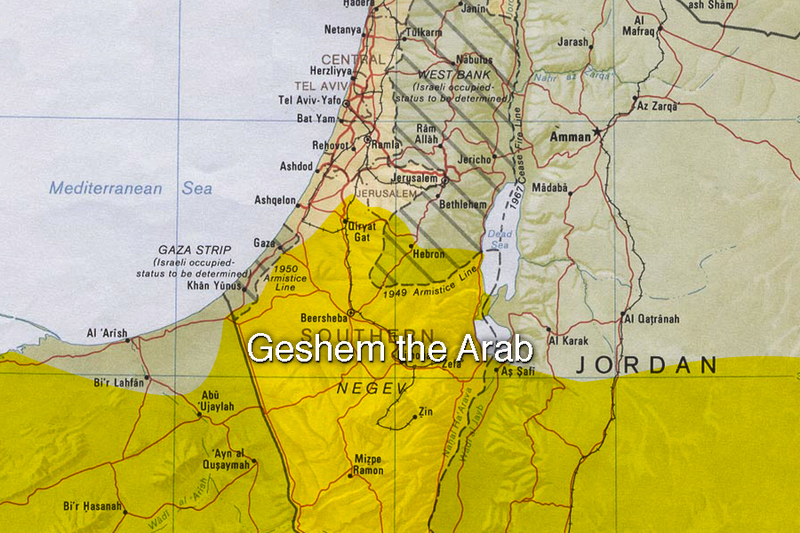 It described Geshem as the governor of Dedan. Another inscription found in Egypt described him as the king of Kedar. Dedan and Kedar occupied the eastern desert region of Syria, northern Arabia, Sinai, and northern Egypt. That being the case, Geshem must have been a very powerful ruler who was afraid that Nehemiah’s coming would interfere with his lucrative trade in myrrh and frankincense. Geshem represents the Devil to me. He is at church every morning. He wants to bring disunity and division in the body. Application: There is a Geshem working in your life. His purpose is to destroy your life, your marriage, your family. He wants to expand his territory. He works by intimidation and ridicule. There you have it – the World represented by Sanballat, the flesh represented by Tobiah, and the Devil represented by Geshem. They all come at you from different angles and sometimes they come at the same time. HOW DID THEY OPPOSE HIM? They mocked him. they laughed at us and despised us, You are so foolish; you don’t have what it takes. Personal example: Some people wrote a letter to our church leaders without my knowledge, asking us to merge. They threatened him. Will you rebel against the king?” We will go to the King against you. HOW DID NEHEMIAH RESPOND TO HIS OPPONENTS? It was in three clear steps. 1. HE CHOSE TO LOOK TOWARDS GOD. Nehemiah could have been all frazzled but He appeals to God. Not just any God but the God of Heaven. Many people give up at the first sign of opposition because they fail to look towards God. That’s why prayer is so important. It puts things in perspective. Application: Are you facing opposition in your life? Are you looking towards your opposition or are you looking towards God? 2. HE RENEWED HIS VISION. Nehemiah could have gotten distracted and stopped the building for a more opportune time. Instead, he reminds the people not to lose sight of the vision. For e.g. When we began the process of transition, I called Ike Reighard. He helped me understand the value of vision. Application: What is your vision in life? Are you so focused on the negatives that you have lost sight of God’s vision for your life? 3. HE DISTANCED HIMSELF FROM HIS OPPONENTS. 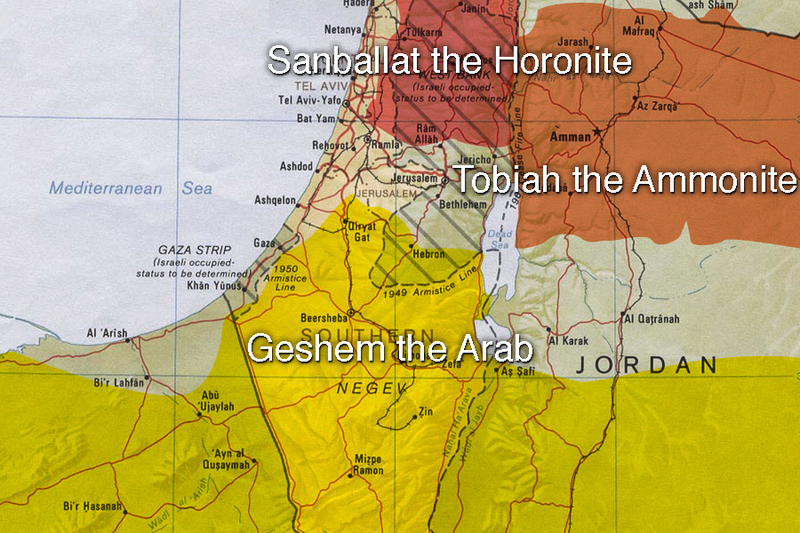 Nehemiah could have tried to compromise and tried to keep peace. Instead, he drew the line in the sand and said, “This is where we stand.” Are you with us or against us? The reason many churches, ministries, and individual dreams fail is because somewhere they are cuddled up with an opponent who is sabotaging and vandalizing God’s vision. Application: Who in your life is discouraging you from fulfilling God’s vision for your life? It’s time to either fish or cut bait. Nehemiah kept his eyes on the vision. Our vision at Clearview is to lead all people into a life changing, ever growing relationship with Jesus Christ. We will compromise on many things but we will not compromise on that. Without Christ – this church/community/nation/world is hopeless. Without Christ – you are hopeless. Do you know Him?